Despite tearing through too many flimsy straps over the years, I haven’t always given them much thought. Not anymore. My newfound appreciation is courtesy of Jason and Stephanie Lollar, who kindly gave me one of their straps to take for a test drive. Now I’ve seen the light. Plus, ever since securing a Lollar strap to my trusty Telecaster, people have been confusing me with the great James Burton. Bonus! 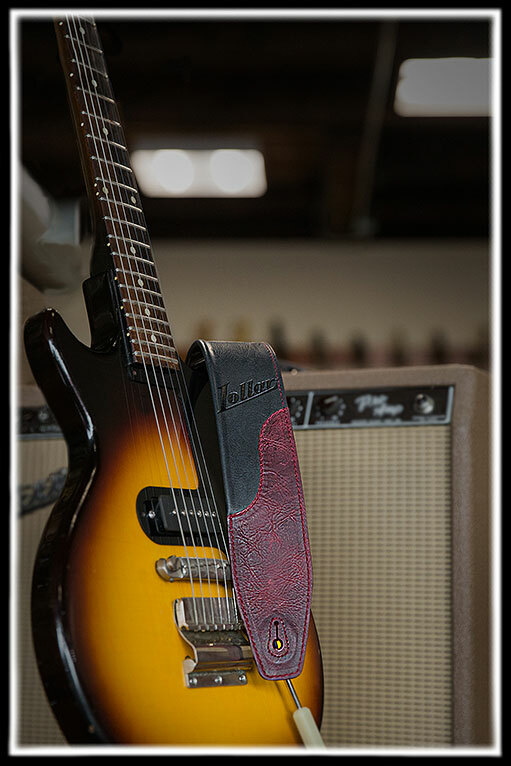 Then, in 2017, Lollar’s longtime European distributor introduced Jason to a leather worker in Spain with an artist’s eye for detail. His company, Bourbon Strap Guitar, is a small, family operated shop based in Elda, Alicante that creates meticulous hand-crafted straps. Impressed with their precision and devotion to quality, Jason shared his unique design plan and soon they formed a partnership. 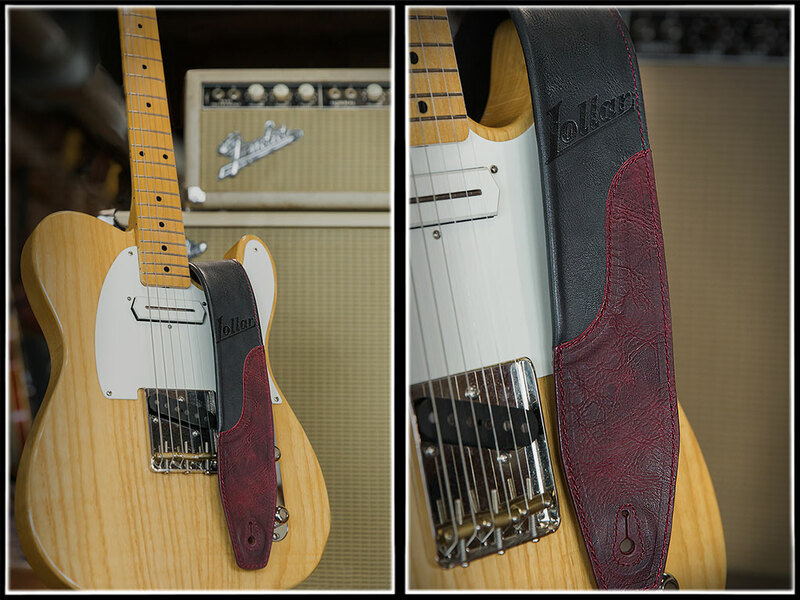 After further collaboration and refinement, the Lollar strap was born. 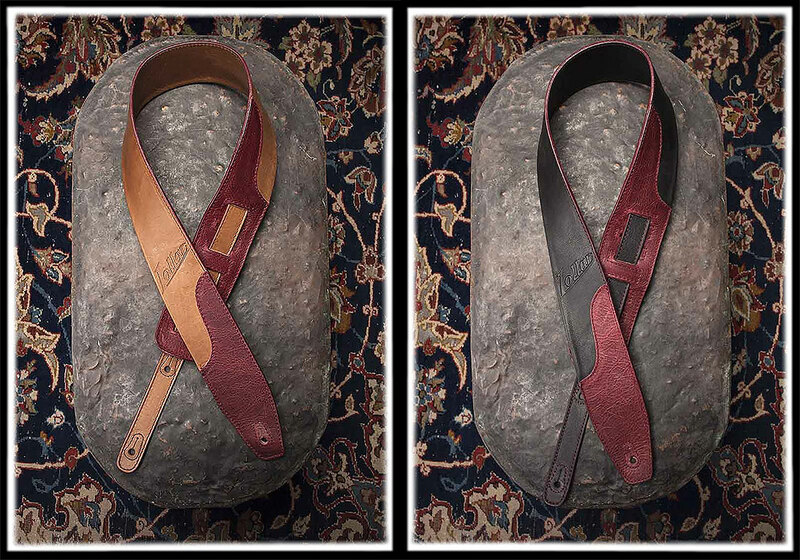 Each strap is made from a single thick piece of dyed garment leather that features a unique treatment not used anywhere else (though not to be confused with fine Corinthian leather). This single piece is then folded over for extra strength and stability. This fold-over, combined with the soft leather, eliminates the need for bulky padding and makes it comfortable enough to wear even for long stretches. The straps also feature a piece of overlay that prevents the holes from stretching out and getting loose, so you never have to worry about your beloved instrument crashing to the floor in the middle of a gig. Plus, the holes accommodate both standard and oversized strap buttons. Like Lollar, Bourbon Strap obsesses over details. They dye the edges of the leather and even burn off every single loose thread for a sharp, clean look. This level of quality and attention to detail is rare, and due to naturally occurring differences in every piece of cowhide, each handmade Lollar strap is truly one of a kind. 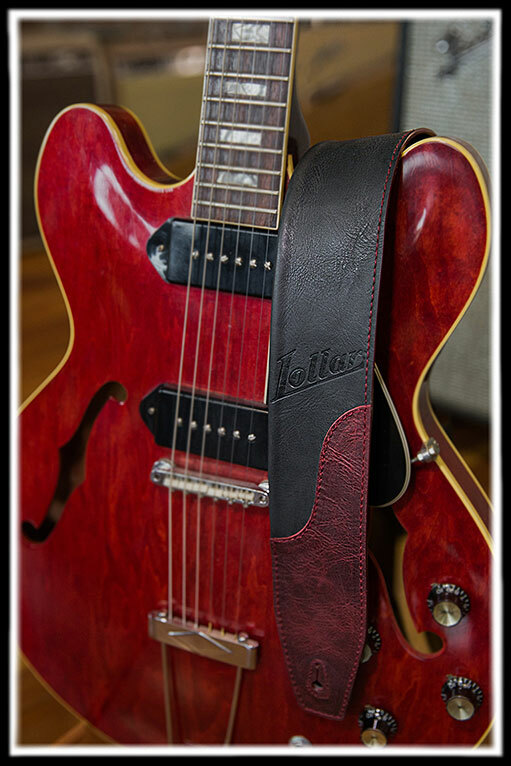 Available in black or tan with merlot accents and adjustable from 43 to 57 inches, each strap comes complete with the Lollar logo deboss imprinted into the leather. And, like all Lollar creations, these are made to last. So strap in and turn it up! You’ll never look at straps the same way again. For a limited time, we’re offering these straps for more than 30% off! They normally sell for $89, but if you act fast, you can get yours for $59! 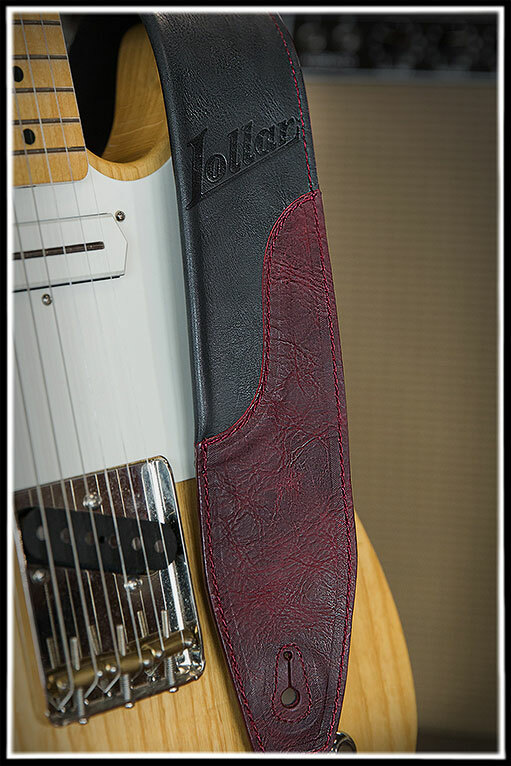 Head over to LollarGuitars.com/Lollar-Strap for more info or to order now. This entry was posted in Accessories, gifts, Merchandise, Miscellaneous, Strap and tagged accessories, accessory, bass, Corinthian Leather, gift, gifts, guitar, Leather, Strap, straps by Jimmy Davis. Bookmark the permalink.